Starbucks keeps drawing interest towards YAH collection by releasing new mugs. 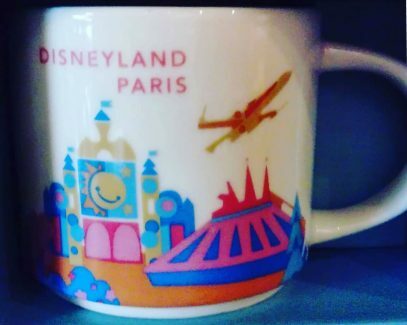 The most recent release is also very special and it is Starbucks You Are Here Disneyland Paris mug. And I have to tell you, collectors went crazy over it and even those who said they’re done with YAH series before, expressed their interest in getting this mug. Well, this is the real magic of Disney brand. I hadn’t put Paris on my list of places for my trip coming up in Feb, but now these have been released I am definitely making a side trip back to Paris. I love these. Very impressed!